Real Wood or Laminate Flooring? This entry was posted on June 11, 2018 by Chris Elliott. The choice between real wood or laminate can be easy as long as you know the facts about both. The main difference between hardwood flooring and laminate flooring is that hardwood flooring is made from real wood, and laminate flooring has a picture of wood on the surface. They are two very different floor coverings. Real wood flooring, or hardwood flooring, is actually made from wood. There are two main types of wood flooring. 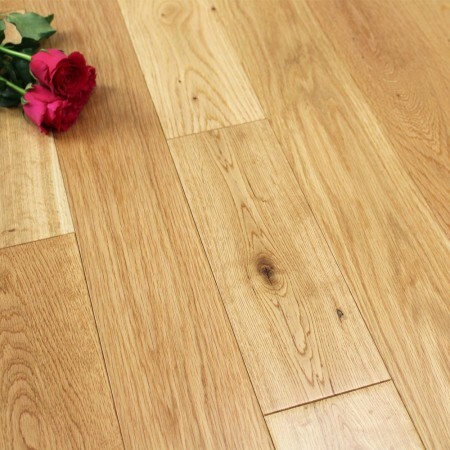 Solid wood flooring is made from a solid piece of wood. Engineered hardwood flooring has a real wood top layer and a base of plywood. Both are classed a real wood flooring as they contain real wood. The look of real wood flooring depends upon the species of wood and the surface finish you choose. There are endless options with different colour stains and plank sizes. You will easily be able to find a real wood flooring that suits your needs. Laminate flooring is synthetic floor covering made up from multiple layers. The surface of the flooring is a high resolution photograph laminated onto the floor and covered with a protective transparent layer. The end result is flooring that looks like wood, stone or tile. Laminate flooring is available in a wide range of styles and patterns and we even have a range of waterproof laminate flooring. Do I choose real wood or laminate flooring? They are two very different floor coverings, and both have their advantages and disadvantages. When deciding between real wood or laminate, it is best to consider your budget, how you want the flooring to look and where you want it to go. Here are some comparisons between real wood and laminate. Real wood flooring is a natural product. It will give you a natural and elegant floor covering. On a first glance you may mistake a high quality laminate for real wood. However, with a closer look it does not have the same quality, feel or character as real wood. 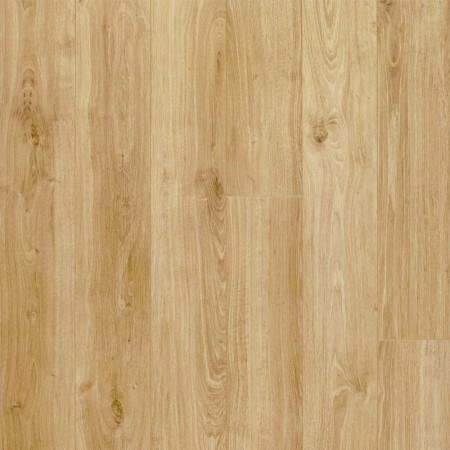 Laminate flooring is made from cheaper products so cheaper in price than real wood flooring. The price can often be reflected in the quality of the flooring. If you are on a tight budget and cannot afford real wood, then laminate can be a good alternative. Cheaper laminate flooring will probably not last as long as a high quality one though, so be careful what you buy. Real wood flooring can last a lifetime if looked after properly. It can be sanded and re-finished to revive its beauty and prolong its life. Laminate flooring cannot be sanded and has a life expectancy of between 5-20 years depending upon the quality. So, if you are looking for something to last for decades then go for real hardwood flooring. Whether you choose real wood or laminate flooring, they are both easy to clean and maintain. Some high quality laminate flooring is fully waterproof. This makes it an ideal flooring for bathrooms and utility rooms. Real wood flooring can become damaged with excess moisture so should be avoided in any wet areas. Both engineered real wood and laminate flooring can be used with underfloor heating and in rooms where temperature fluctuates, like conservatories.